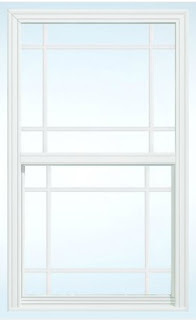 We switched from double-hung windows (both top and bottom window part slide up and down) to single-hung windows (only the bottom window slides up). The main reason was the extra efficiency of the single-hungs and since most windows are easily accessible we can clean most of them from the outside anyway. View our windows like ours. Unfortunately, this is not our view. 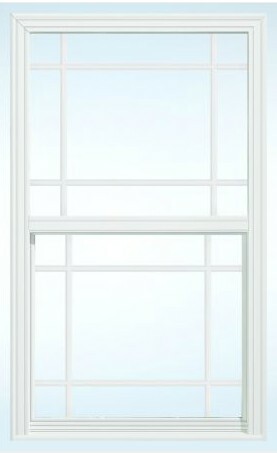 We switched from the standard Jeld-Wen Vinyl Low-E window to Energy Saver Plus. 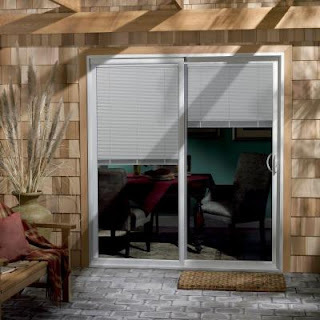 The reason for that is simple, only the Energy Saver Plus (in the Builders Vinyl range) qualifies as an Energy Star window for the Northern US. Overall, by switching from double-hung to single-hung and going from just Low-E to the Energy Saver Plus we are gaining a little over 20% in window efficiency for about the same price. We moved from three rows of windows in the dinette to a single casing with 3 windows. Better efficiency than 3 single cuts with nothing but 2x4s in between. We switched from solid wood pocket-doors to hollow-core pockets doors. 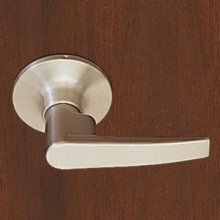 Even though this seems like a down-grade, it actually adds functionality since the solid wood door are so much heavier that as pocket doors they actually become hard to operate/slide. So, we added functionality for a cheaper price. We switched from pocket-doors to regular swing doors in the in-law suite. After consulting with The Mother-In-Law, we decided to go with regular doors as they are easier to operate (the handles on a regular door are larger than the recessed little lever on the side of the pocket doors. 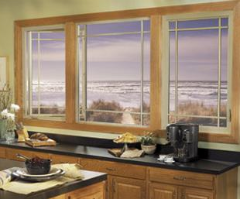 We switched from prairie-grid glass in our sliders to built-in blinds for privacy and easy-of-use. No drapes to wash, hang and maintain. 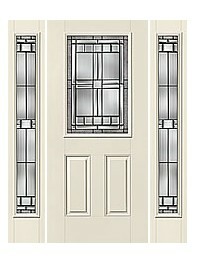 Picked the Jeld-Wen two-panel interior door style for all the interior doors. Picked the ThermaThru Smooth Fiberglass Saratoga front door with matching sidelite windows on either side. Very productive meeting where we made sure we only pay for function and/or efficiency and not for mere design. At the end we made a couple more decisions that we can cross off our list. We'll try to get some pictures for some of the doors since windows look like, well, windows but the doors actually have a distinct design.